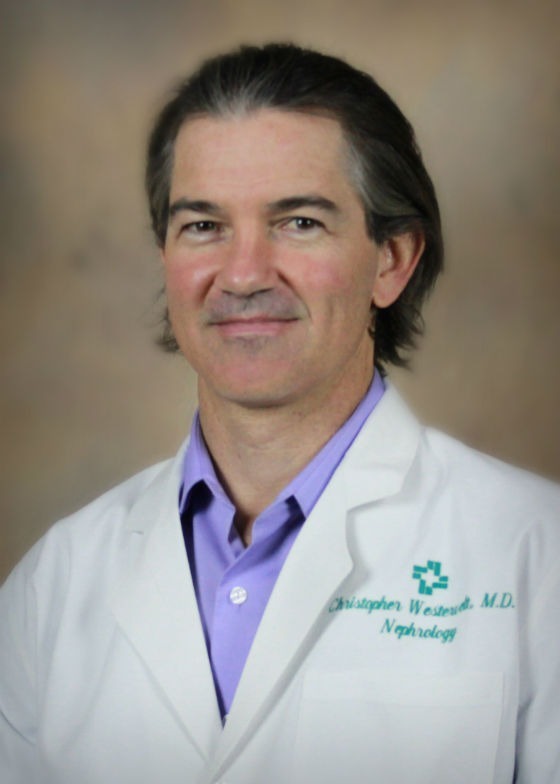 Dr. Christopher Westervelt is a board-certified nephrologist in Nephrology at Hattiesburg Clinic. He received his medical education from Tulane Medical School in New Orleans, La. He completed his residency in internal medicine and family practice at Ochsner Foundation Hospital in New Orleans, where he also completed a fellowship in nephrology. Dr. Westervelt is certified in nephrology by the American Board of Internal Medicine. He is involved with the National Kidney Association and ASDFN. The Nephrology department offers a diagnostic work-up for adults with acute or chronic renal failure, nephrotic syndrome, diabetic nephrology, glomerular and interstitial nephritis, electrolyte and acid-base disturbances and hypertension. Tulane Medical School – New Orleans, La. Ochsner Foundation Hospital – New Orleans, La.